Building a house is a huge investment. However, that house also becomes your home—something made up of much more than just a mortgage payment. It is the center for your family, a place to relax, and the place where you should feel most comfortable. Many people feel daunted by the prospect of building a home. Luckily, there are many great resources to guide you, from how much money you need to build it to choosing the right plan and location. Following a step-by-step guide makes the process that much easier. Building your dream must be based in (monetary) reality. First, make an honest assessment of your finances. Do not take on more than you can handle financially—you owe it to yourself and your family. How much house you can afford comes down to the amount of money you have to put down on a house and your monthly income. You can use an online mortgage calculator, like Bankrate’s calculator, to get a general idea of your housing numbers, keeping in mind that construction mortgage figures may vary. Before embarking on the home-building process, learn about the finances of building a home; it involves two loan phases. During the construction loan phase, a lender doles out funds as the builder meets certain construction milestones. Borrowers make monthly payments based upon the interest accrued on the money paid to the builder. The payments are low at first. As the home nears completion, however, the payments increase substantially. Upon completion, a residential mortgage loan kicks in. Most lenders now consolidate construction loans and mortgages, known as “construction-to-permanent financing,” which smoothes the process for buyers and requires only one settlement process. A construction loan will provide enough cash to start building and bring to you completion of your home (Plan #116-1086). Unless you are among the lucky few able to pay cash for new home construction, you must deal with mortgage lenders. Most mortgages come from commercial banks, mortgage companies, or credit unions. Shop around (including online) to find a construction loan that fits your needs. Obtain a lender “pre-approval” for a home construction loan at the start of the home building process to help establish your budget. Keep in mind that most lenders want borrowers’ total debt payments (mortgage and other loans) to equal no more than 43% of gross income. Additionally, most construction mortgages require a 20% down payment. Location greatly affects how much house you can get for your mortgage amount. Land in a popular suburban area costs more than land in a rural, isolated place. While some people have the option to move to various geographic areas, most are tied to an area by their job and/or family. Property prices vary hugely from region to region, within regions, and even within neighborhoods, according to the location and desirability of the land. Location also plays a big part in building costs. Urban and suburban areas differ in price, as do rural locations; additionally, a lot located in a natural disaster zone often requires additional construction considerations. Hurricane zones, for example, may necessitate buildings with exteriors that are able to withstand high-speed impact from windborne objects. Earthquake zones may have construction codes requiring steel framing. Ensure that you know the zone in which your lot is located, and note any weather-related construction codes that must be met. Even if you already have land or blueprints, knowing what you can afford helps keep your dream home visions based in reality. Staying on budget means constantly weighing options and deciding what matters most. Square Footage: The larger the home, the more you pay. Style: Weigh the advantages of an open floor plan against defined rooms. Energy Costs: Larger homes, large windows and multiple doorways can drive energy costs up. Shape: Square or rectangular homes cost less to build, whereas angles and corners add to costs. Stories: Single-story homes require larger roofs and foundations than two-story homes of the same square footage. 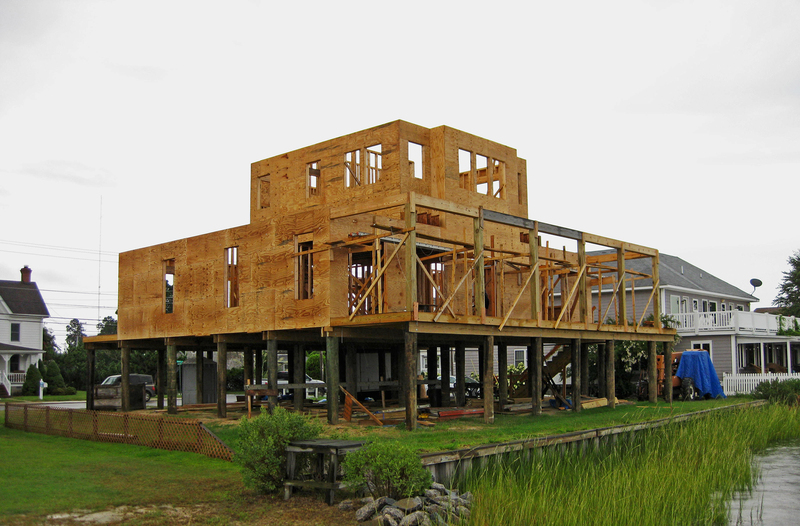 Dimensions: Deeper homes (32 feet or more) may require specialty trusses. Building materials: Higher-quality paint, cabinetry, and more may substantially increase costs. Garage: A 3-car garage will cost a lot more than a 1-car or no garage. Porch: Wraparound front porches, back porches, and screened-in rooms add to the budget. Basement: A full basement foundation or walk-out basement will add to the cost. Foundation: The type of foundation—all-wood, slab, concrete block, poured concrete—will affect the price. This is a good example of how to drive up costs: large square footage, multiple angles, four-car garage, and high-end materials (Plan #161-1034). About 62% of the sales price accounted for by construction costs Obviously, the actual price of building a home depends on many factors, including not only location and size but also exterior style and interior amenities. Research the going cost-per-square-foot building rates in your region by contacting some local builders or the municipal or county building-code office. Another resource is the U.S. Census website. Apply the numbers to your plans using an online cost calculator, such as the one provided by the Craftsman Book Company. 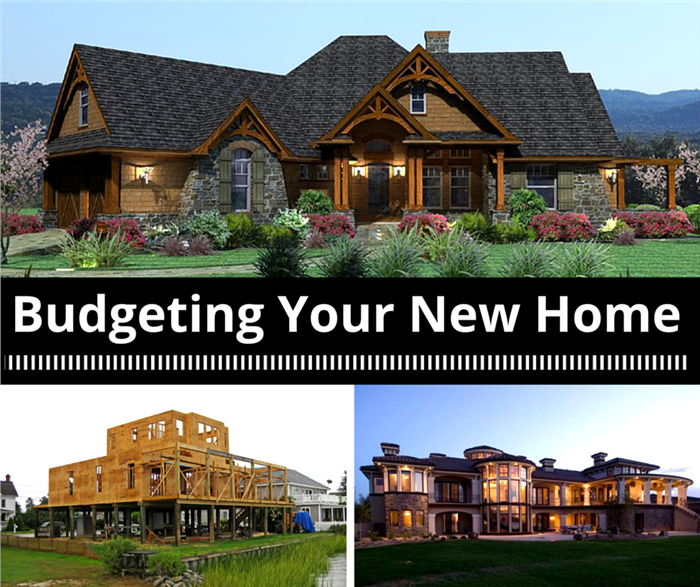 Calculating the costs of building a new home generally requires estimates from builders. Finding the right builder is incredibly important, and not only in terms of quality and finances. After all, this is someone you will be dealing with for several months. Ask lenders and local realtors for recommendations, or check out resources such as the National Association of Home Builders for the names of reputable contractors. Interview the potential builders, touching upon a few important points. Current and recent projects: Look for languishing or poorly completed projects. Similar projects: Ask about expertise in handling your design and details. Communication: Determine their practices on progress reports, interaction with designers, and how accessible they are. References: Previous customers provide the most useful feedback on the building experience. Project management: Consider how they manage projects, especially multiple ones. Specialized areas: A builder with experience building boxy development homes may not be a good choice for a custom, multi-angled house. There is a long list of things to consider before the build can begin. Some of the questions below are obvious; others you may never have considered. Is the maximum lot coverage—the areas covered by the house, driveway, and walkways— permitted by local codes sufficient to accommodate the structure you envision? Are there storm water and/or flooding issues on the property? Is the school district sufficient for your family’s needs? 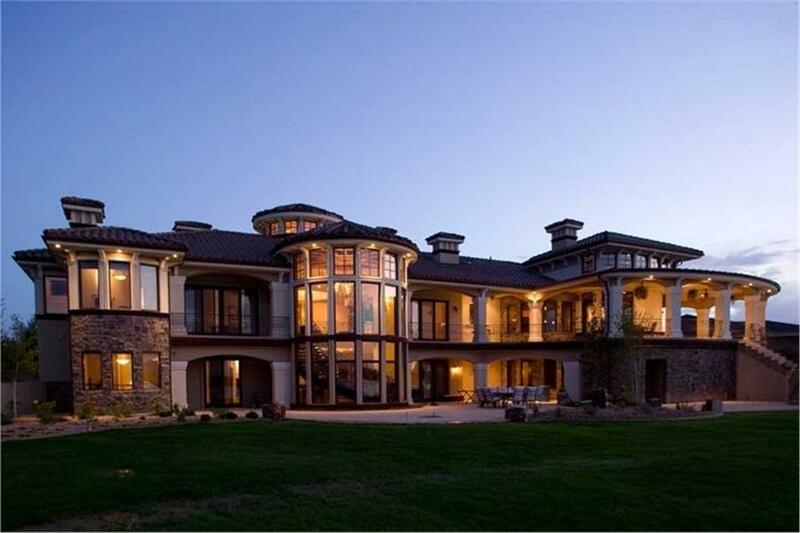 Does the property have desirable sunlight or shade at different times of the day? Are their many large trees or rocks that require removal prior to building? Is the site’s topography suitable for building a house? Is the ground suitable for installing a foundation? Is there public water and sewer, or can the land support a well and septic system? If you must make an accommodation for any of these items, it may increase building or other costs. Unfortunately, Murphy’s Law is an ever-present reality in home building. Things can, and most likely will, go wrong at some point, whether during the building process or right after move-in day. Many people make as large a down payment as possible to lower their monthly mortgage payments. However, you must have money in reserve for unforeseen circumstances. Getting a mortgage requires having monetary reserves, such as savings. Think of it as “rainy day” money, an emergency fund made up of easily accessible cash assets. While lenders may require only six months or less in cash reserves, many financial experts recommend having a monetary reserve fund covering nine months to one year of living expenses. A large down payment on a home is great, but not at the expense of depleting all savings. Large rocks: Blasting and removing rocks to accommodate a foundation. Underground springs: Diverting the water flow with piping or French drains, as well as installing multiple sump pumps. Increased lumber prices: Framing materials account for the largest percentage of building costs, according to NAHB. Increased equipment expenses: Weather conditions may require pumps for water management, waste removal, and dust control, including fencing. Design changes to meet local building codes: Builders and designers are not always aware of new regulations. Beyond the reserves mortgage companies look for, allow for an additional 10% for unforeseen expenses. High-end materials can drive up your building costs quickly. Make sure you have reserves in case you get carried away (Plan #161-1040). Keep in mind that there are plenty of expenses beyond construction. Inside and out, your new home will require many things beyond building materials. The American Society of Landscape Architects recommends that you spend 5% to 10% of your home’s worth on landscaping to add value to your home. Hooking up utilities also has a price. While each hookup may cost less than $50, consider the number of accounts needed (cable, phone, internet, water, sewer, electric, gas) and the fact that some may require security deposits. As for home interiors, immediate requirements include at least basic window treatments for privacy, kitchen appliances, and furniture. The post-construction costs add up quickly. Finally, remember that not every added expense is the builder’s fault. 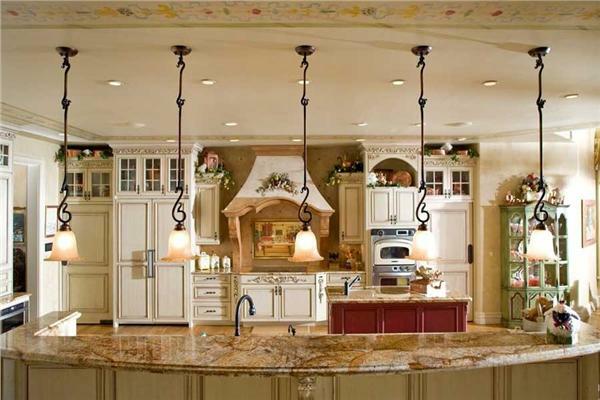 Many buyers realize once construction is underway that they want to tweak plans to better suit their tastes and needs. Accept that you may change your mind about some details as you go along, and be sure you have the money to accommodate those alterations. It all pays off in the end, though—on the day you settle in to your new custom home!